The head of Maryland's Motor Vehicle Administration says she's confident the number of voters affected by a programming error will be less than the nearly 80,000 announced the day before the primary. 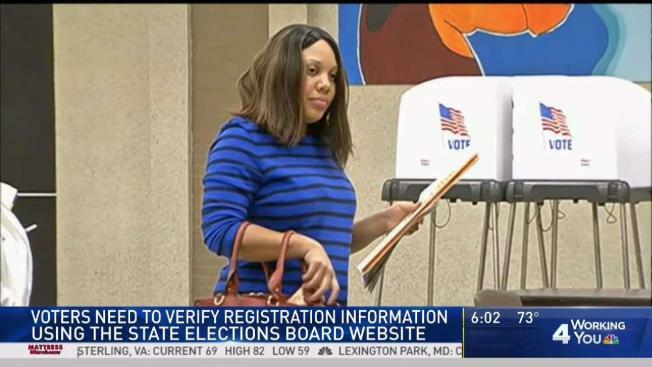 The MVA and the State Board of Elections announced the registration problem June 23, saying an estimated 18,770 voters might have to use provisional ballots Tuesday. On Monday, they raised the number of those potentially affected by more than 61,000. The elections board also announced Thursday that 7,200 other voters may have had a related problem. MVA Administrator Christine Nizer says in a statement that she's "confident that the ultimate number of voters impacted on election day would have been fewer than the 80,000 announced Monday." Nizer emphasized "all affected customers were able to vote."